Sure, you'd love to go to Spain. In fact, that's your dream destination. But flights are just too damn expensive, right? Not today. 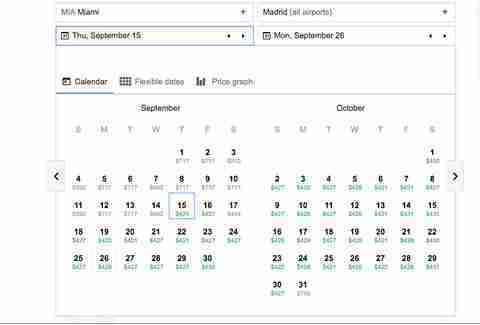 Right now Air Canada has flights available from Miami to Madrid for around $425 round trip on select dates in September and October. Prices vary slightly depending on your selected dates, but using the dates September 15 - 26, 2016 should get you a round trip fare for $424.32. There's a stopover in Toronto involved, but you really can't complain with a price this low. As always, this price is subject to change, and could go up at any moment. The only thing separating you from Madrid is a dose of spontaneity. Oh and $425. 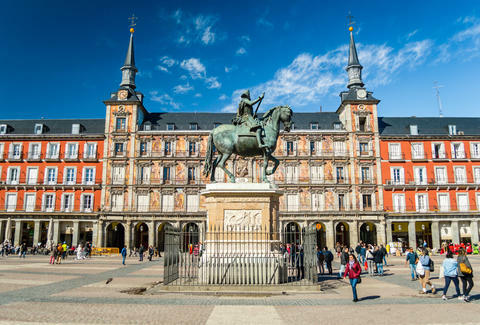 Kara King is a News Writer at Thrillist and had the best nap of her life in a park in Madrid. Send news tips to news@thrillist.com and follow her at @karatillie.